For one week out of the year, the glitz and glam of Vegas is traded for cowboy boots, southern gentlemen and country music. And NO, I am not referring to the bull riding championships that take place in November. I am talking about ACM Weekend in Las Vegas Baby. Las Vegas loves a show and even more so...Las Vegas LOVES country music. So, it seems a natural fit to bring the brightest stars to a city where everything shines brighter every day. This year's ACMs bring with it a more contemplative tone for the Las Vegas. As we celebrate the best in country music, we also remember the tragedy of October 1st at Harvest 91 Festival. When all there was to be that weekend was a time of celebrating music, a cloud of sadness & loss looms over that day. But in the face of tragedy, the one thing somehow brings people together is music now and forever. From those playing that night like Jason Aldean, to Eric Church's lyrics in tribute one thing is clear, music can and does heal. Music and the people it touches will always be celebrated, even in the face of tragedy. And that is exactly what Las Vegas and The Academy of Country Music does every year in April, they celebrate country music. 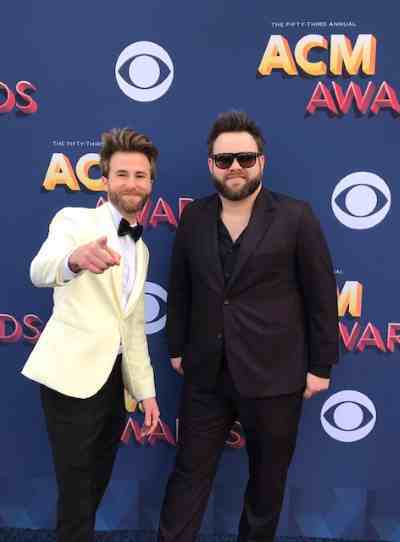 Unlike many awards shows, The ACM Awards just isn't a one night only event in Vegas, The Academy and the artists take over Vegas in the most fun-filled, rocking musical fan friendly itinerary of events like I have never seen for about four days. 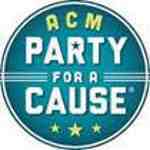 For the 6th year in a row Annual ACM Party for a Cause Events happen at local venues such as Stoney's Rocking Country, The Joint at The Hard Rock and Top Golf just to name a few. These events not only give country fans the ability to see some of their favorite artists in an intimate setting, but also help raise funds for The ACM Lifting Lives charity. The charity enables assistance to those in need in so many ways such as bedside visits by artists that prove the power of music in recovery is such a vital tool in healing, keeping music in the public schools around the country and in most recent events of October 1st shootings. Locally in Vegas this has been an emotional support system for victims and their families who are still physically and emotionally struggling to recover from that night. 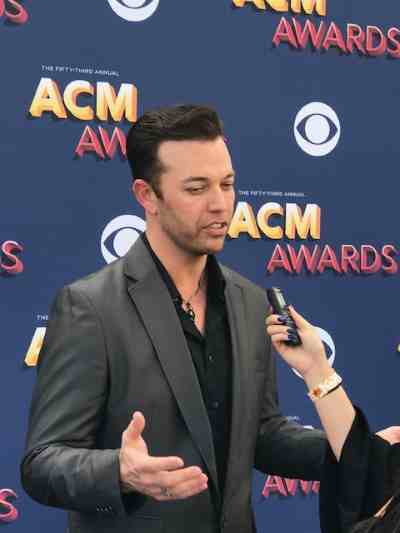 I caught up with Lucas Hoge on the carpet and asked about his experience was this year at the awards. 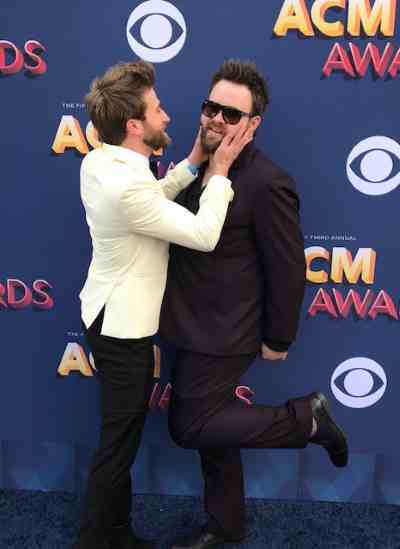 With his new release "Dirty South" ascending to #1 on Billboard Country Album Sales Charts, he was enthusiastic talking about his partnership with Southwest Airlines as their first country music influencer. "We had this great event for Southwest Rapid Rewards members the other night at the Foundation Room. It was just such a great atmosphere to be able to play in that environment for those fans." You never know what flight you might be on in the future, as Hoge eluded the ink has just dried on his live at 35,000 feet in flight mini concert. So, keep your eyes and ears alert because sometime soon Lucas Hoge might be on your flight serenading you at 35,000 feet. The 53rd ACM Awards brought back to the stage the much anticipated return of Miss Carrie Underwood. Her new song "Cry Pretty" brought the house down with a thunderous ovation. Collaborations like Florida Georgia Line & Bebe Rexha, Kane Brown and Lauren Alaina showed the world stage the evolution of country music in 2018; bands and artists taking chances to make a new kind of country music.